For two weeks, our friends at the Good Food Awards will be sharing articles, tips, and recipes from some of their judges, friends, and past GFA winners. Each day will feature a different category, from chocolate to charcuterie to cheese. And if you'd like to score some of the goods competing in this year's awards, head to Provisions. Today: Jennifer Calliau, the owner of Small Hand Foods, a company that specializes in pre-prohibition era cocktail ingredients, introduces us to the Japanese cocktail -- and explains that is has absolutely nothing do to with Japan (but everything to do with delicious). One of the questions I am asked most often, and one of the most difficult to answer, is “What do you like to drink?” Not because I am unsure, but because my job as a bartender is to make sure that you are enjoying your experience at my bar; what I enjoy drinking at the moment most likely has no bearing on what you are looking for on this night. As anyone who has spent any time in the company of bartenders can attest, we like brown, bitter and stirred things. We prefer flavorful spirits to those that melt into the background. We like to taste our booze. But I don't want to disappoint my customer. 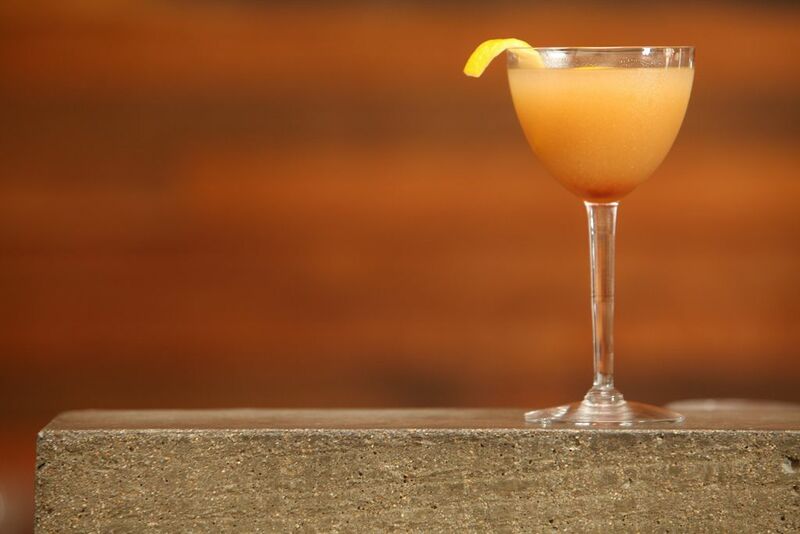 For spirit-forward cocktails that don't require an iron palate, brandy is an exceptional gateway. It has wood tannins that excite whiskey nerds and smooth fruit flavors that are accessible to the less experienced imbiber. In these winter months, I love the Japanese Cocktail. First published in 1862, it was created to commemorate the first visit by the Japanese Consulate to the U.S. Embassy in 1860, which is why it is called the Japanese yet contains no Japanese ingredients. It is important to use orgeat made from actual almonds; the protein and fat from the nuts temper the spirit, and create the after-dinner drink I believe was originally intended. Photo provided by Tiago Russo Photos.